Squeaky Books: Blogoversary Answers & Winners! Wow! I have officially discovered how hard is too hard. Only 32 people entered this contest. And of those 32, only ONE PERSON got all of the covers right. You can see the original post here. 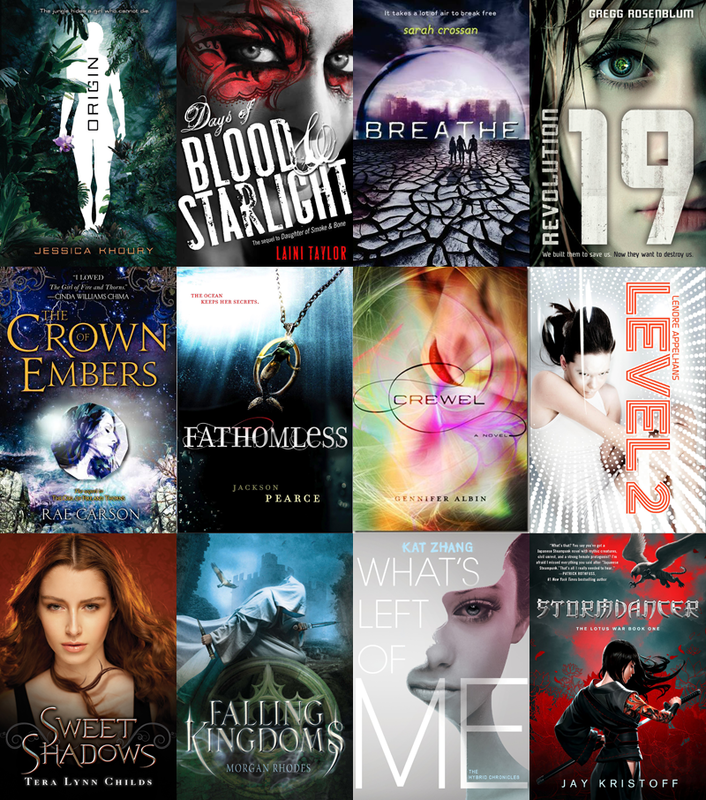 And now, I'll reveal the covers and the winners! Here are the text answers. The percentage indicates how many people got the answer correct. 0 Response to "Blogoversary Answers & Winners!"